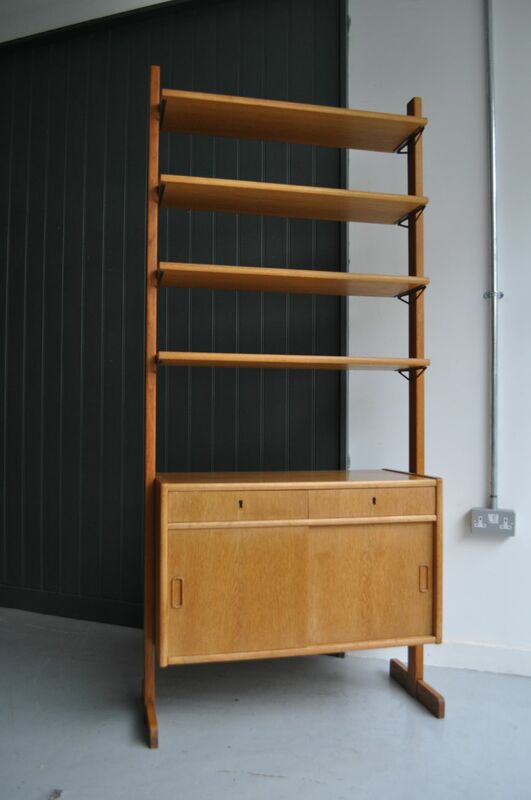 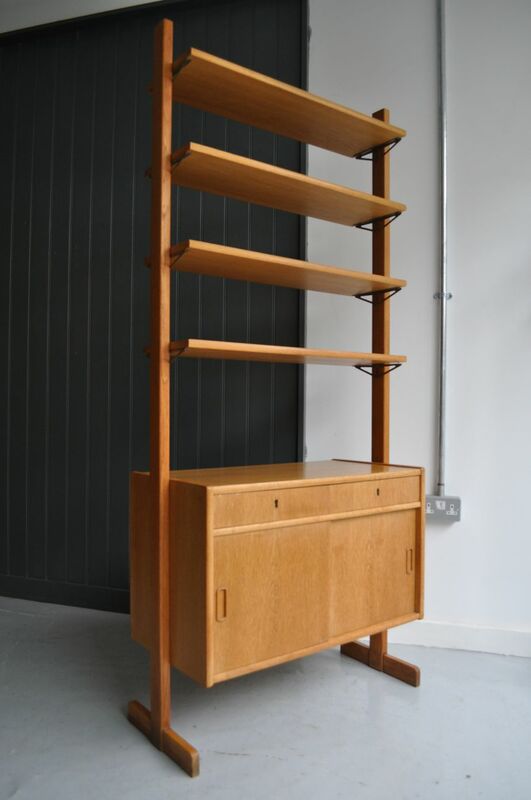 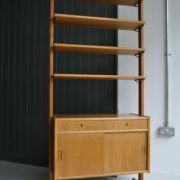 Swedish mid-century storage unit with four adjustable oak shelves above two drawers and a cupboard. 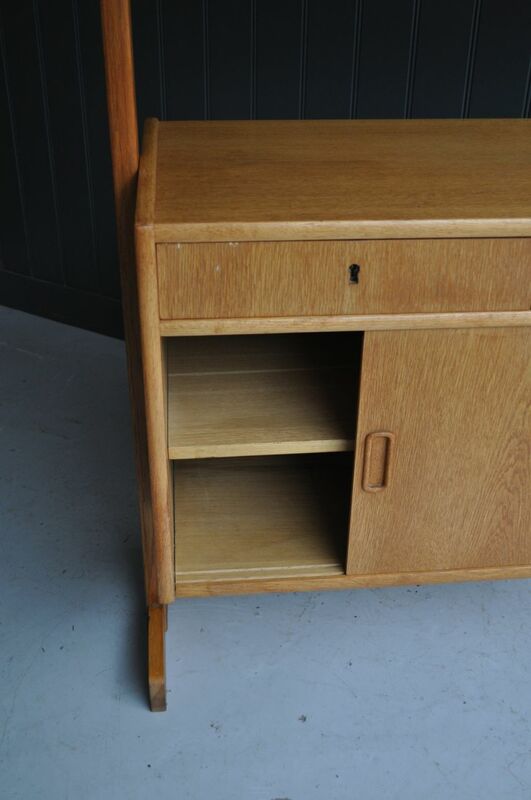 Lovely clean condition, with just light wear in keeping with age. 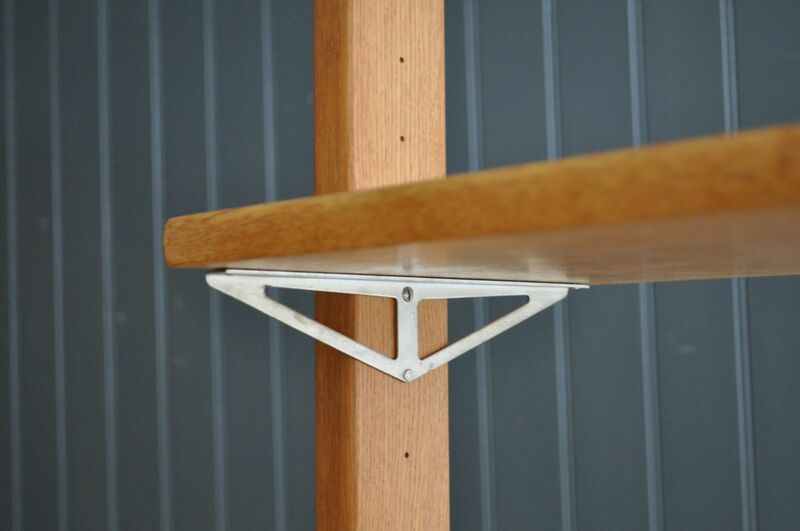 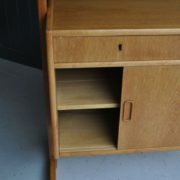 and a clean and simple mid-century design with a slightly softer feel many teak pieces of the period have. 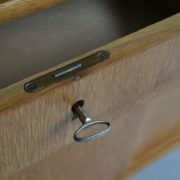 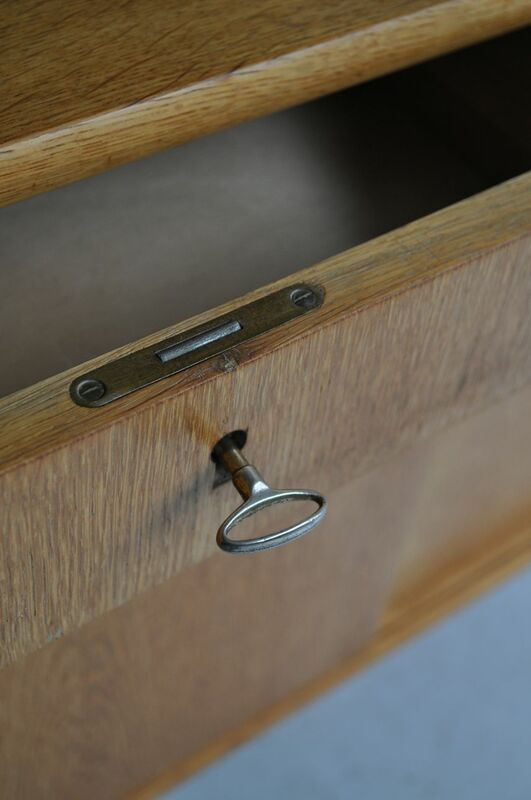 The chrome shelf supports are adjustable and provide a nice contrast to the oak, and the drawers have their original locks and key. 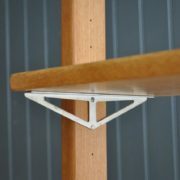 The freestanding design allows it to be used as a room divider if required.